Here it is again, a long time since my last post. Life happens and when it does, watch out. It can really mess up the things you want to do versus the things you must do. I am learning to prioritize what is absolutely important to me versus what is important to everyone else. I hope to soon have that under control, but I digress. 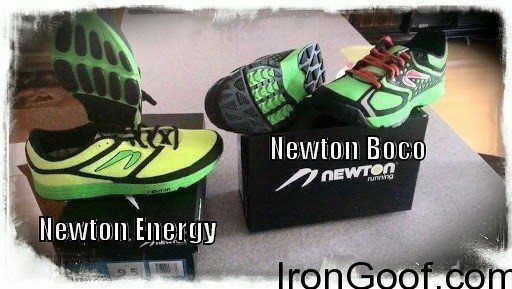 Newton was nice enough to send me both a pair of the Newton Energy and the BOCO. I am reviewing them together since I have found they are the same shoe with the only difference being the BOCO has a tread that is made for the trails and the Energy is made for the road. To be transparent and honest, I am a certified Newton Coach, so I am a little biased towards Newton. However, I rarely train in Newtons, as running is very personal I have my favorite running shoes to train in. I do however, love the methodology behind them. For those that do not know, Newton running shoes have 5 lugs in the front of the shoe directly under the ball of the foot. The lugs have a higher or lower profile depending on the shoe. The lugs serve as a reminder for running form by automatically driving the foot to land on the fore or mid foot, reducing the impact dramatically. 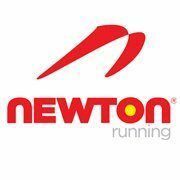 When paired with Newton Natural Run training, the shoe will decrease the effort level of transitioning to a mid or forefoot runner. In my experience, after the runner has developed the habit, they no longer need to be running in Newtons, but most do not only due to muscle memory, but they also last about 4 times longer than other running shoes. Prior to the release of the Energy, the core products Newton produced were the Motion, the Isaac, the Gravity and the Distance. These models needed a transition period for the runner to get used to the way the lugs lifted the heel causing some calf soreness. The Energy now has a lower profile of lug, and a transition plate which actually allows the athlete very tiny transition period, if any, before the comfort of the shoe settles in. The EVA foam that makes up the sole of the shoe is extremely comfortable and highly accommodating to the road. The only conflicts I have heard is the heel cup is a little shallow for some, causing some slippage during long runs. Since one of the core beliefs of natural runners is that shoes should be tied just tight enough to secure the heel, this could be a problem. I have always taught, the athlete needs nothing to support but themselves. In other words, if the shoe is tied too tight, the shoe ends up supporting the runner. By tying the shoes very light and only tight enough to secure the heel, the feet, the calves, the ankles are strengthened with every activity. I personally have not found an issue with the heel cup even without the help of a runner’s lace, but I have heard of the issues. I did get an eleven-mile run on the trails with the Newton BOCO and was I surprised at how well the tread grabbed the terrain. The trails I was running were meant for Mountain Bikes and that meant steep climbs and steep downhills and there was not a moment I did not feel secure. For new runners or for athletes transitioning to more efficient technique, I believe the Energy is the perfect shoe. They are the perfect shoe to transition with before trying one of the core Newton models. The BOCO is a great trail shoe for anyone wishing to start or continuing a journey into trail running. 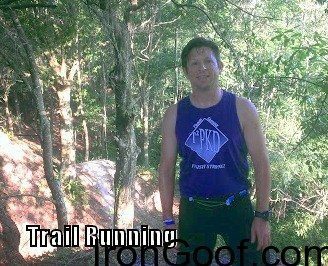 They are comfortable, supportive and made me feel completely secure on the trails. That’s my opinion and I am sticking with it. Happy Running!